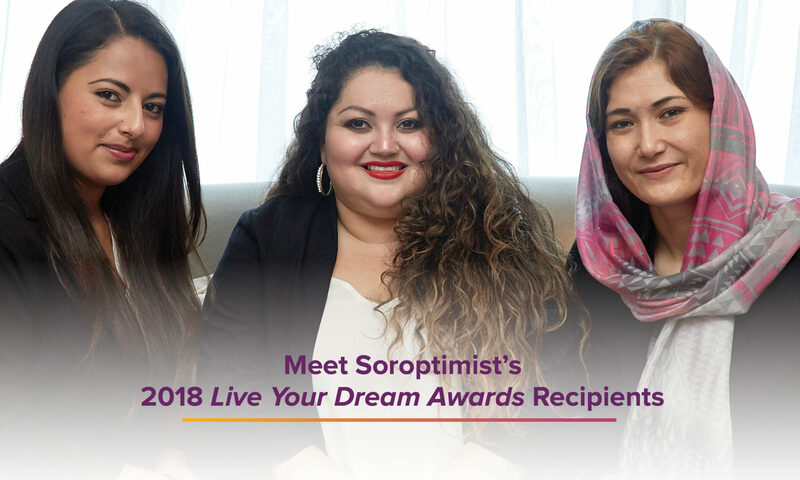 …SIA receives 150+ applications a year from women who are eligible for a Live Your Dream Award but don’t live near a Soroptimist club. Thanks to generous gifts to the Dream Programs, headquarters is able to award 40 $1,000 cash grants to such women—but this leaves more than two-thirds of eligible women hearing no. … a gift to SIA’s Dream Programs helps us say yes to more women! A special thank you to regions that reached 100% Club Giving participation in the 17-18 recognition period: Founder Region, Desert Coast Region, Rocky Mountain Region,and Sierra Pacific Region. Japan Chuo and Northeastern Region not only achieved 100% participation in Club Giving, but each of their clubs gave at least at the 10% level! We asked Barbara Giambastini, Sierra Pacific Region’s 2016-2018 fundraising chair how she motivated clubs in her region to give. Barbara shared that she kept in year-round contact with the clubs, and honored them at Sierra Pacific Region conferences. She also promoted clubs’ fundraising ideas through newsletters, district meetings, and public recognition. Thank you Barbara and each of our volunteers who help fundraise for our global Dream Programs, whether through Club Giving, or individual contributions. When we work as one for a common goal, there is no limit to how big we can dream!